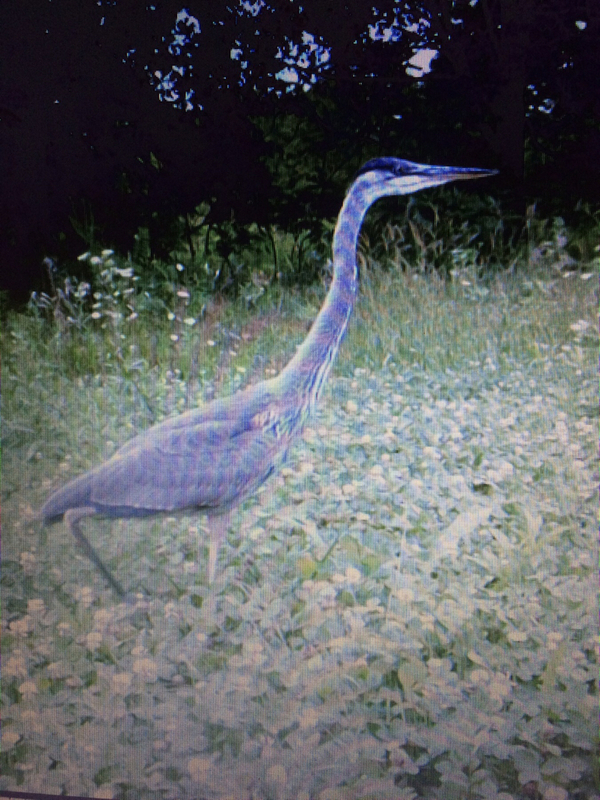 Isn’t there a saying that your clover needs mowed when it’s knee high on a Great Blue Heron? Discussion in 'Trail Cameras' started by KDdid, Aug 20, 2018. This dude has been all over my firebreaks and clover areas. I figured that he’s hunting the leopard frogs that I see darting around them on these wet, dewy mornings. Mennoniteman and Doe Shooter like this. You're a lucky man. I find nothing but scorpions in what used to be my clover plot. There's not enough vegetation to hold a tick in mine right now. What variety of clover is that? Generic ladino from the co-op. Best money I ever spent. Go ladino! I've also been having good success with ladino.